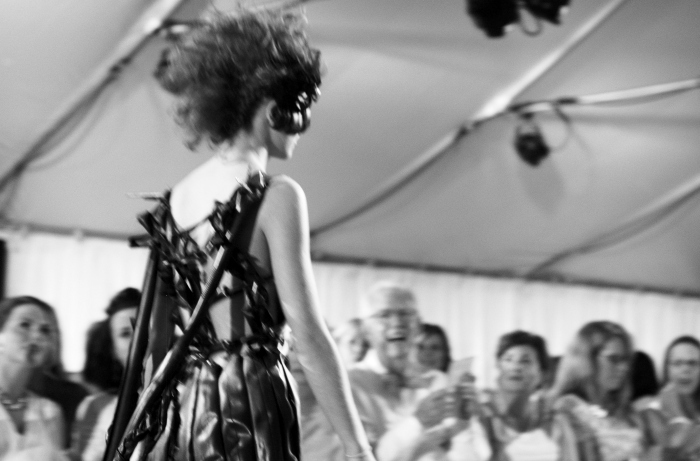 This month, the Kentucky Museum of Art and Craft presented its second annual couture fashion show to a sold-out crowd. The highly anticipated event was a presentation of over 50 looks that were handcrafted by a group of talented regional artists. 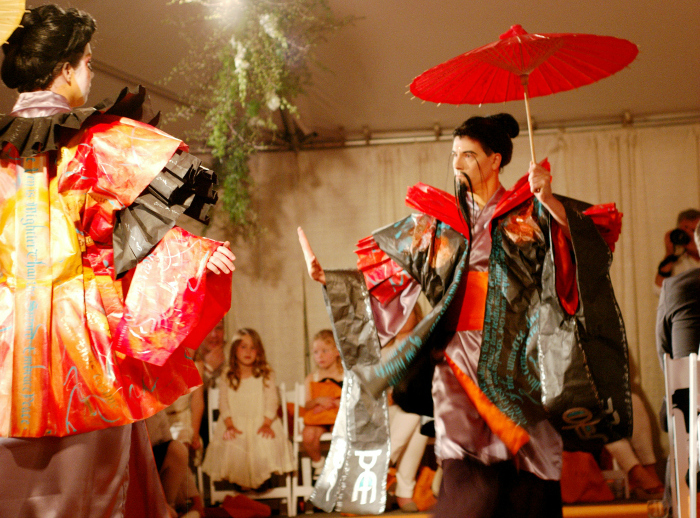 From mattress pads to pop tabs, rhinestones and wire, each look was a unique mix of conventional and non-conventional materials. In keeping with the show’s mission of connecting the local community with art and the museum itself, the show’s architects tapped the talent of artists that ranged from costume designers to milliners and painters. And if the positive engagement of the crowd, the pride of the artists involved, and the simple idea that art can bring a diverse group of people together is a measure of true accomplishment, then the evening was a total success. gorgeous creations! 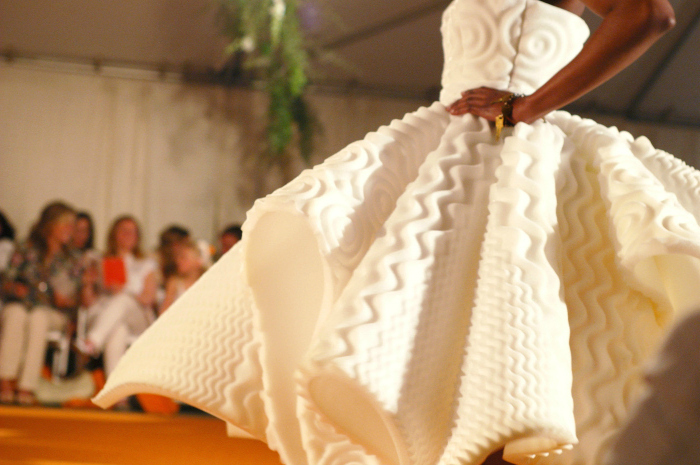 is that white dress made of mattress pads? 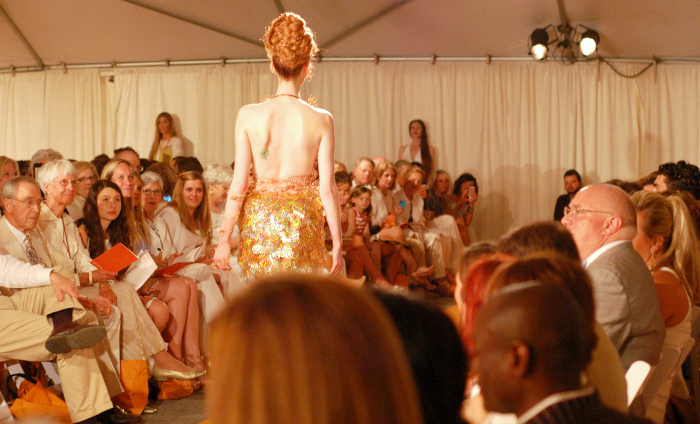 Love seeing all the runway pics – the costume designs are amazing!! I agree… The pieces were definitely art!! That super structured white dress almost looks like it’s made of cake fondant- I love it! I love the Japanese inspired models! They were my favorite as well!